What should I do for the ADMINISTRATIVELY CLOSED APPLICATION. - N400. ? I passed the citizenship test on Apr 10,2019 . The officer said my Petition to Remove Conditions on Residence I-751 is still pending. Then, the officer told me to provide more documents by uploading the requested document online. and I don't need to re-apply for the citizenship test again. 2. Bank / financial statements that show that we have financial connection to each other (once again, to prove that the marriage is authentic). However, I try many times to upload the files but I can not upload any files, then I saw my update status change to ADMINISTRATIVELY CLOSED APPLICATION.
" RE: N-400, Application for Naturalization NOTICE OF ADMINISTRATIVELY CLOSED APPLICATION Dear XXXX XXXXX : This letter refers to your Form N-400, Application for Naturalization, filed on August 18, 2018. Based on the pending I-751, your Form N-400 has been administratively closed at this time." I checked the processing time on https://egov.uscis.gov/processing-times/ for Vermont Service Center , the Receipt date for a case inquiry is now October 03, 2017.
so I submitted the Outside Normal Processing Times. 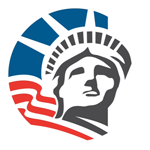 , USCIS replied "We are still reviewing your case. We will mail you a notice when we make a decision. " In this case, What should I do to ask them to kindly reopen my N400 application again? I try to upload the documents as they requested but since the case was closed, I can not upload any files on the USCIS website.